Mobile technology is making a revolutionary change in the way business is interacting with end users and this end-user can be a customer, business partner, employee or even a smart device. It is believed that in order to stay ahead in any field, an effective usage of this latest technology is very important and as a result, a large number of organizations prefer using mobile apps. Effective mobile applications can affect the business to a large extent and can change the way business works. In other words, apps have reduced the workload as well as improved the capacity of businesses. It gives you an easy and an effective way to showcase your business to valuable clients or esteemed customers. You have the chance to engage your customers with offers and incentives in real time. Apps are believed to shorten SMS messages and paper newsletters and it also reduce the workload of staff. Apps are considered as a constant reminder of your business. It effectively reinforce your brand by increasing your visibility. Apps provide many functions such as general info, booking forms, price description, news feed, search features and a lot more. This means that whatever information you’d like to provide to your customers can be easily accessed by them. It can be said that mobile apps have taken the world by storm and the enterprise mobility market is expected to touch the horizons of sky. 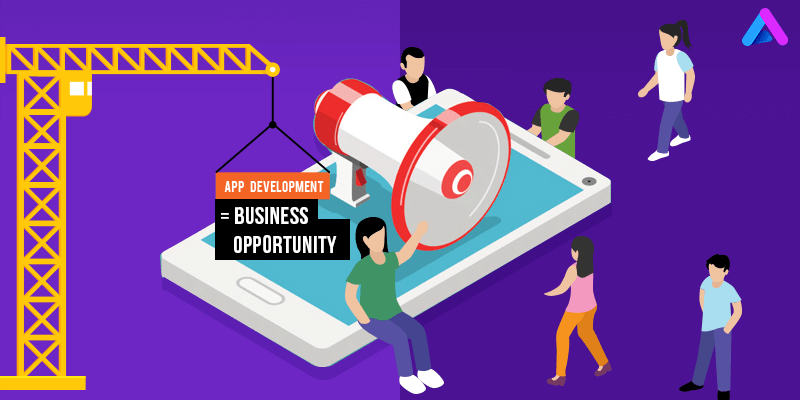 Now, a large number of organizations are seeing mobile app as a tool that is not only strengthening external customer engagement, but also looks forward to spur business process transformation. There are definitely exciting opportunities for both small and big size businesses to achieve quantum productivity gains from mobilizing daily tasks. There is no exaggeration in saying that companies across several industries have an opportunity in order to drive revenue, reduce cost and to deliver efficiencies of scale through mobility efforts. There are numerous apps that companies can develop which claims to fundamentally change how a business is done. In other words, it puts a measurable impact on business and change the way a critical business function is performed.